I’m excited about joining Cetas Healthcare and supporting our EMEA client partners with consulting offerings that are insightful and actionable. Cetas Healthcare (http://www.cetas-healthcare.com), a global firm specializing in customer insights and strategy for the medical devices industry, strengthens its EMEA presence with the naming of Mr. Shane West as Vice President (Client Relationships) for the region. Cetas Healthcare has been serving top tier US and European medical device industry clients out of Frankfurt, Chicago, New York, Singapore, India and China offices. The appointment of Mr. Shane West will strengthen Cetas Healthcare’s existing relationships with the global and regional headquarters of its main clients, and increase Cetas Healthcare’s footprint in Europe and the Middle East. Before joining Cetas Healthcare, Shane led the Global Customer and Market Insight function for global GE Healthcare portfolio, where he built and led a successful off-shore shared service model for customer research to deliver cost effective high-quality insights for his global stakeholders across more than 200 projects annually. “By growing our direct presence in the EMEA region we will further strengthen our ability to deliver intelligent insights that help our clients to make impactful decisions,” noted Sumit Mehta, Managing Director of Cetas Healthcare. 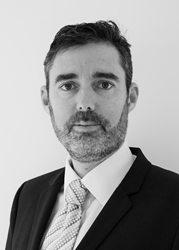 “Shane's extensive experience of 14 years in the medical equipment industry, together with his functional market research skills, and strategic marketing management skills will significantly strengthen Cetas Healthcare’s core proposition”. “I’m passionate about bringing the voice of the customer to strategic business decision making” said Shane West. “I’m excited about joining Cetas Healthcare and supporting our EMEA client partners with consulting offerings that are insightful and actionable”. Shane West is also the founder of Shane West Consulting, a marketing strategy consulting firm, which he will continue to lead. Shane has a BSc(Hons) in Cognitive Science and MBA from La Trobe University, Melbourne.